So says Archbishop Jose Gomez of Los Angeles, speaking of the dire need to reform our broken immigration system. There’s lively debate surrounding Congress’s latest efforts to reform immigration. “Illegal immigrants should be deported!,” politicians and political commenters have said. “Start at the back of the line!” They are saying that immigrants should leave and spend the next decade or more without seeing their spouse, children, or relatives. Faced with that choice, would anyone follow a law so contrary to American ideals of family and justice, one that may mean we never see our family again? While we are a nation of laws, for years we have not enforced our laws. Many crossed our borders in search of work and opportunity to escape poverty and provide for their families, while others came here on visas and remained after their visas expired. These undocumented workers are vulnerable to exploitation by unscrupulous employers. They often work in unsafe conditions for unjust wages in jobs others are reluctant to take. They also contribute to our economy, providing labor and paying taxes. It is ironic that while immigrants build our homes, care for our children, pick our food and do many jobs Americans take for granted, some take exception to the prospect of allowing immigrants a path to citizenship. According to a study by the Commonwealth Institute, undocumented immigrants added between $2.6 and $3.1 billion to Virginia’s economy annually, and pay some $145-$174 million in state income, property and sales taxes to the Commonwealth. Nationally, undocumented immigrants contribute $7 billion annually to Social Security, despite their inability to ever collect benefits because they aren’t registered themselves. Moreover, undocumented immigrants are ineligible for public assistance programs such as TANF or SNAP benefits and Medicaid. 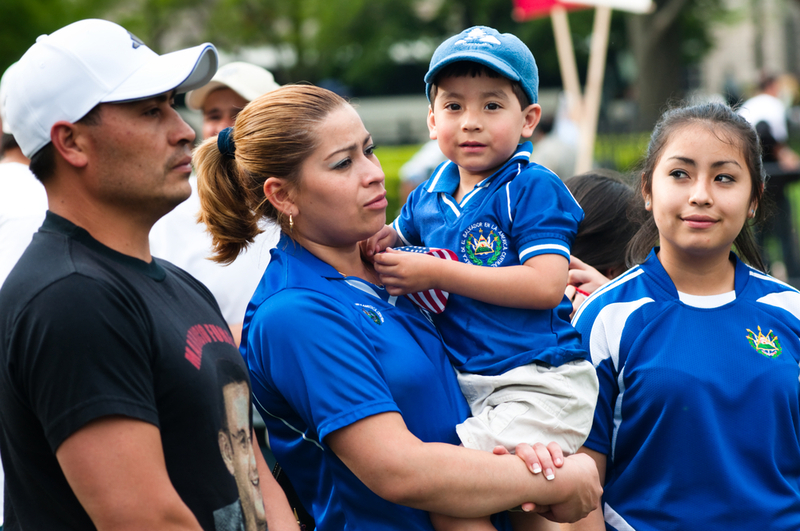 The majority of American Catholics support comprehensive immigration reform, but some do not understand the Church’s commitment to the cause of justice—and a path to citizenship—for immigrants. Our faith compels us to defend human rights and dignity. That includes the dignity of the recent high school graduate who was brought to the U.S. as a mere child, knows no other homeland, and longs to go on to college with his classmates and peers. It includes those men and women who overstayed their visas in order to keep their families together. And it encompasses the immigrant family just trying to provide a better life and more opportunity for their young children. These undocumented immigrants are not criminals—they are fellow human beings who share our values of faith and family, and our desire for a better life for that family. The United States Conference of Catholic Bishops says that real reform means providing a generous path to citizenship that supports family unity, the dreams of teenagers who know no other home but the U.S., and the rights of migrant workers. We must hold undocumented immigrants accountable, but compassionately and respectful of families and children. Senate bill, S. 744, provides a path to citizenship for migrant workers, DREAMers, and families that is earned through the payment of fines, back taxes and waiting periods. The legislation is far from perfect, but is a rational and compassionate solution to an issue we have long neglected. We invite you to see and listen to the people affected by immigration reform through the links above. Reform, done in a compassionate way that reflects our American values of family and opportunity, only serves to strengthen our country, not weaken it.